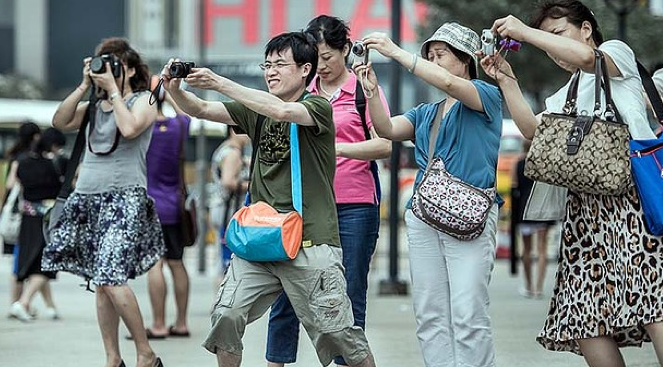 Why are Chinese tourists so rude? Apparently because they’ve never learned why they should be polite. With no disrespect intended, she says Chinese people are good people who tend to be rude, in general, because that’s how they’ve been taught to be; their role models are all rude. 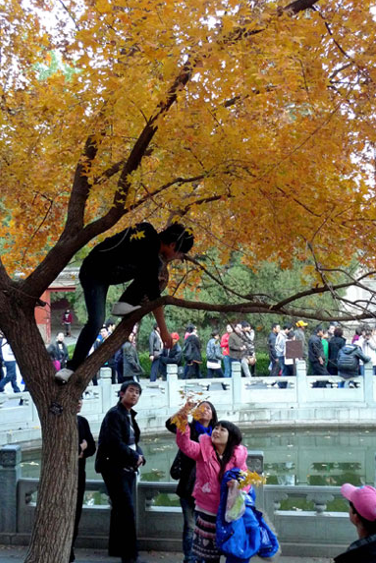 In over-crowded China, if you aren’t pushy, and willing to be rude about it, you likely will be pushed aside. She quotes a recent research study that says “ordinary folk” in China have poor role models. “They are forced to watch their laws being violated every day by their leaders,” she said. There’s a Chinese saying or idiom, “shang xing xia xiao”, which means “people in lower class follow what their leaders in the upper class do”. Better-educated tourists seem to behave better, according to studies, but the older you are in China, the less likely it was that you received a high-quality education. “Middle-aged or older tourists who have been deprived of or received little education during China’s politically tumultuous times tend to act more unruly,” she wrote. What sorts of bad behaviour are we talking about here? A new etiquette guide from China’s tourism board chides Chinese travelers abroad for peeing in public pools, chronic nose-picking in public, leaving footprints on public toilet seats (sit, don’t squat, please), and stealing airplane life jackets. 1. Bad Manners 101. Pushing, shoving and cutting in line is at the top of that list. Again, this relates back to the notion that if you aren’t willing to assert yourself, many Chinese have been conditioned to believe, you will miss out. But those are comparative misdemeanors; there are also reports of really boorish and felonious behaviour, which is difficult to rationalize, such stealing, vandalising and flouting social norms. “Uncivilised,” an Australian paper editorialises. 2. Ignoring signs, warnings and instructions. Most Chinese tourists who travel internationally speak, read and write no language other than their own (the lack of education issue again). And they tend to come poorly prepared for, uninterested in or overwhelmed by the idea of learning to speak, read or write in other languages. They see a sign, they don’t know – or don’t care – what it means, they keep going on. Until they get shooed away, fall off a cliff, crash, arrested and/or shot at. 3. Being obnoxious, abusive and unruly. Chinese seem to believe they deserve a special standard of customer service and/or value when they spend their hard-earned money. That’s not all that different from most people. But the Chinese tourists tend to take it beyond acceptable levels, Ms. Li said. She quotes a Beijing travel agent who says if Chinese clients don’t get what they want, they can (and usually do) become belligerent, verbally abusive and even “flip out.” “You cannot reason with them,” the agent said. Hint, hint (at an Australian resort). 4. 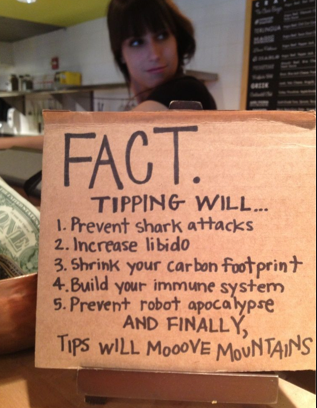 Tipping is another problem; most Chinese won’t do it. The few who do are misers. “Though most travel agents in China would educate their clients about tipping in a foreign country ahead of their trip,” Ms. Li said, “most people ended up tipping very little or none.” The situation can (and has) become “ugly” when staff confront Chinese patrons and demand tips. Chinese think it’s extortion. 5. Idiotic driving is not mentioned in Ms. Li’s blog item. But I will include it here, as I have some insights on this subject. It is very easy for a Chinese tourist, in America, for instance, to rent a car. I think this should not be allowed. 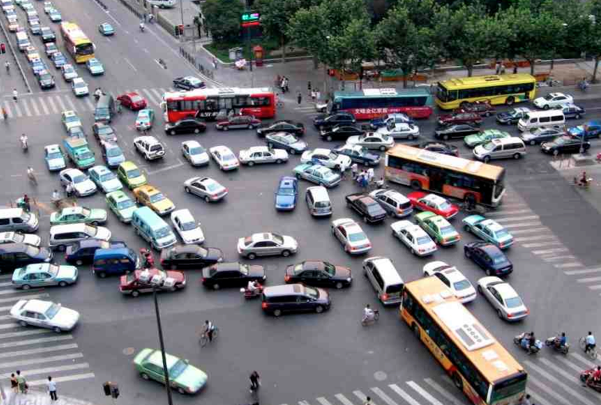 Chinese drivers are, in general, poorly trained and inexperienced; up until a decade ago most Chinese didn’t drive – they rode bicycles. The automobile is still a rather new thing to them and they’ve had a rather steep learning curve. Also, back to education – very few Chinese can read road signs (since they aren’t in Chinese characters); so all kinds of misunderstandings and mayhem can occur. Finally, I have been told that in China the person who is ahead owns the road; so, they feel entitled to cut off people behind them, turn anyplace they like, or travel any speed they choose. Plus, as we mentioned above, they are just plain rude. But many are not optimistic that the situation will change any time soon, she added. 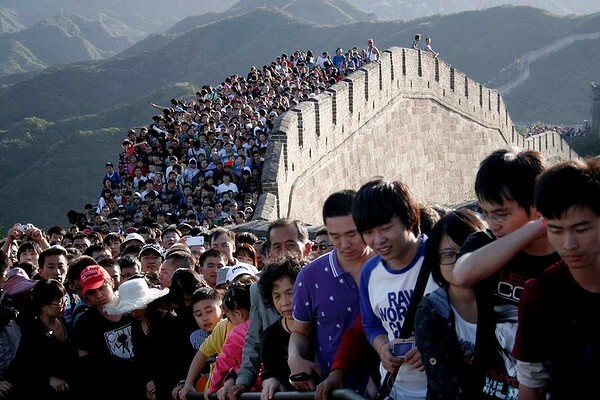 Chinese tourists “have a long way to go before they will be respected by the world,” she quotes a tourism expert as saying. « 110th Birthday Bash: Harley-Davidson Loves A Party! Curious. 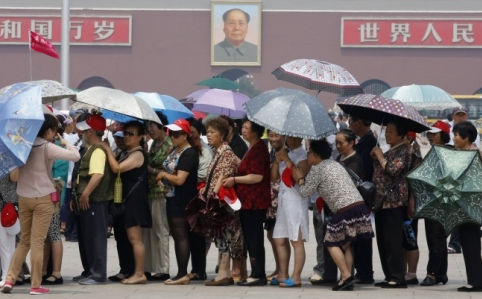 In their native China, what happens when pushing, shoving and cutting in line occurs? Are there altercations with those they have been rude to? When they do it to me, which unfortunately happens on pretty much every cruise I take or tourist place I visit, I don’t do anything but feel pissed off. I have been told that their theory is that as long as they are ahead of someone, they are in control of the situation – even if they have to make a dive bomb move to get in front of you. This is merely rude in most social situations; it can be deadly on the road! This article is rude and makes generalizations about an entire country. It should be taken down. Your opinion also violates American law. ” I think this should not be allowed”? Really? They have a right to rent cars just like everyone else. Why did you even choose this topic anyways? Just to offend people? I’m done wasting my time on this. Stop making excuses for these people [Chinese]. They are rude, have few manners, are essentially autistic [they are the epitome of cell phone zombies and drones], and their only pros are their ability to study, and their current wealth. The country never had a real monotheistic religion, so they never had any true moral or ethical rules, so they never really had a culture. Praying to ancestors and burning incense does not count…it’s essentially primitive and pagan. Couple that with 40-50 years of real communism that tried, tried, to bring some civilization to the masses…but based it on a copied western anti-religious ideology, and you get the rude drones that are the Chinese people. Of course, when you have 1.3 billion people, if only 1% are millionaires, you have more millionaires than in most European countries; if only 0.5% are prodigies of any sort, same idea, more prodigies than most western countries taken individually. Again, stop with the excuses for them. It’s 2017; you go across the sea to Japan, and the reverse is in effect. A crowded society where the people are so polite, altruistic, and just better, and I can argue that is due to them needing to survive in a crowded environment by getting along. As for role models, oh let’s blame the Politburo for their lack of civilization… Come on, it’s 2017. Maybe if 1 billion drones stopped sending juvenile text messages, sending pictures of their food, wasting their lives in front of little computer screens…and actually read a book on manners, looked at some videos of how life is in…say Japan…or Finland…then maybe they’d improve.